Chakra 2017.10 DVD (64-bit) | Linux DVD Shop - UK Linux Shop supplying Linux on CD, DVD and USB with Free UK Delivery, 24Hr Dispatch. Chakra 2017.10 is a fast, user-friendly, powerful DVD born from Arch linux, which uses the KDE desktop. 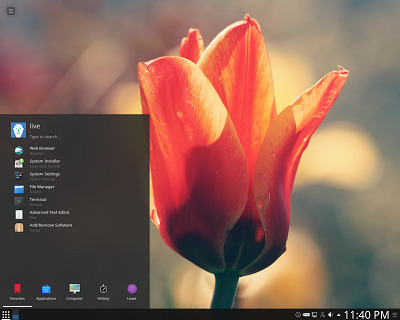 The goal of The Chakra Project is to provide a high-quality desktop operating system based on KDE/Qt and the 'keep it simple' principle. Features include a graphical installer, automatic hardware detection and configuration, KDE plasma 5.10 and a variety of tools and extras.